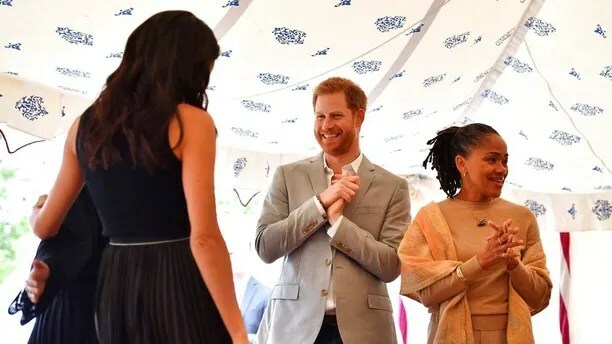 The Duchess of Sussex’s mother made a surprise appearance at the luncheon on Perk’s Field for Markle’s first solo project as a member of the royal family. 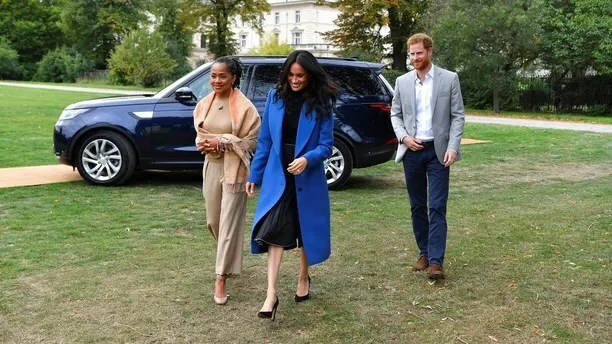 It’s the first time Markle’s mother has been seen with her daughter since the royal wedding in May. Ragland, who reportedly flew to London from Los Angeles last week, introduced herself by saying, “Hi, I’m Meg’s mom,” People reported. 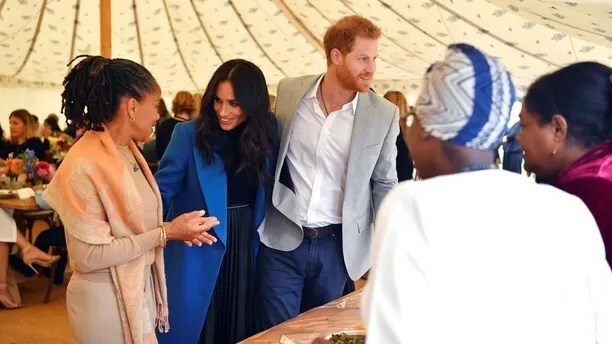 Markle and the women from the Hubb Community Kitchen — the organization that first inspired the former “Suits” actress to write the book — came together and created a lunch meal that included coconut chicken curry, aubergine masala and capatis. The Duchess, wearing a black top with a pleated skirt and bright blue coat, also delivered a speech during the event. She recalled feeling “immediately embraced by the women in the kitchen” when she first moved to London. “Working on this project for the past nine months has been a tremendous labor of love. 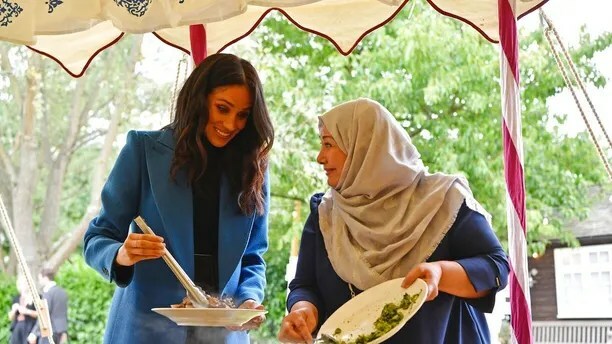 I had just recently moved to London and I felt so immediately embraced by the women in the kitchen, your warmth, your kindness and also to be able to be in the city and to see in this one small room how multicultural it was,” she said. “On a personal level, I feel so proud to live in a city that can have so much diversity. 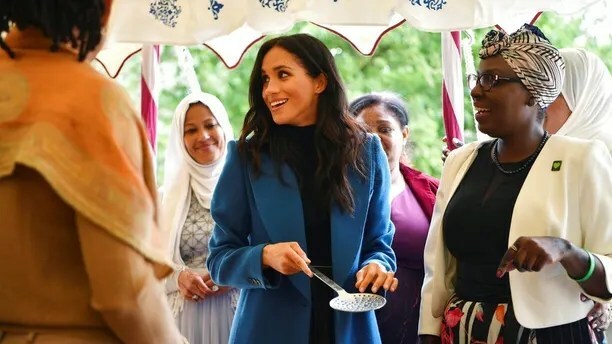 It’s 12 countries represented in this one group of women—it’s pretty outstanding,” Markle added. The book features recipes from women who were affected by the 2017 Grenfell Tower fire that killed 72 people. Markle, who wrote the foreword, came up with the idea of the charity book when she heard the Hubb Community Kitchen was only open two days a week because of lack of funds. The cookbook is aimed at raising money for the victims of the deadly fire. Ragland also said she “felt very much at home” in London. “I’m so glad I can put the face with the recipes. I’m going to tell everyone, I met her [each of the cooks]! I’m going to make everything, I’m serious,” she said to the women at the event.